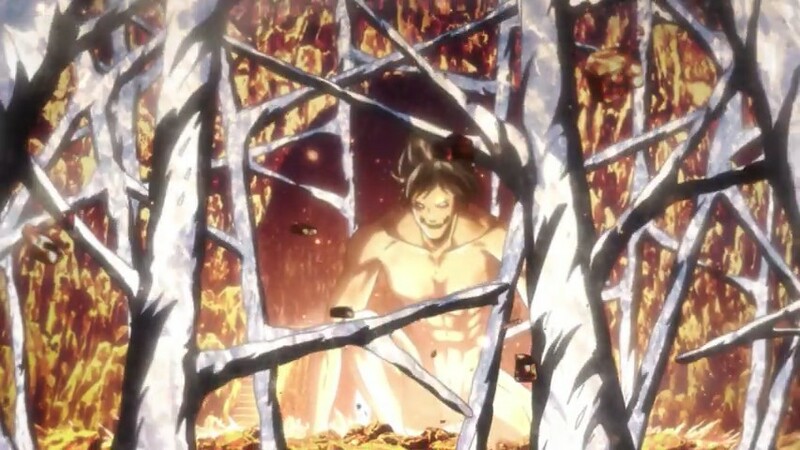 Attack on Titan finally returns, this time it looks like titans will not be the only threat to the scouts. 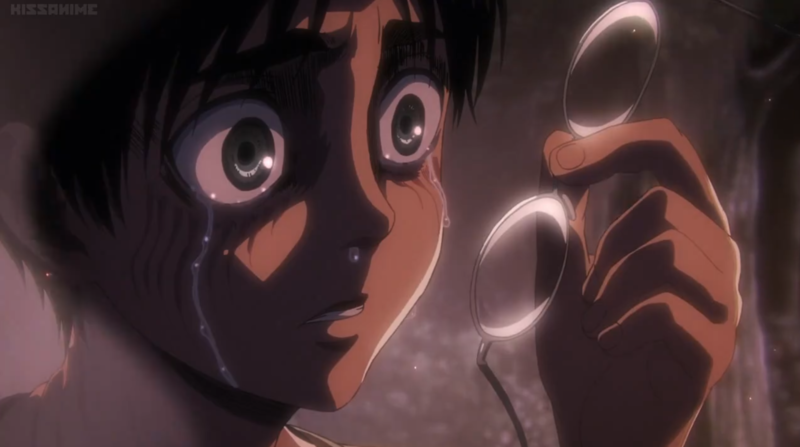 This episode increases the stakes and enlarges the world of AOT. 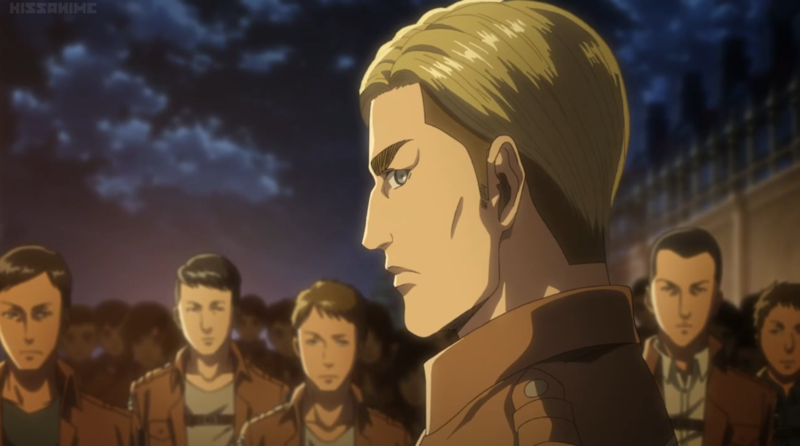 Levi takes the lead, as our primary protagonists become members of Levi’s squad. 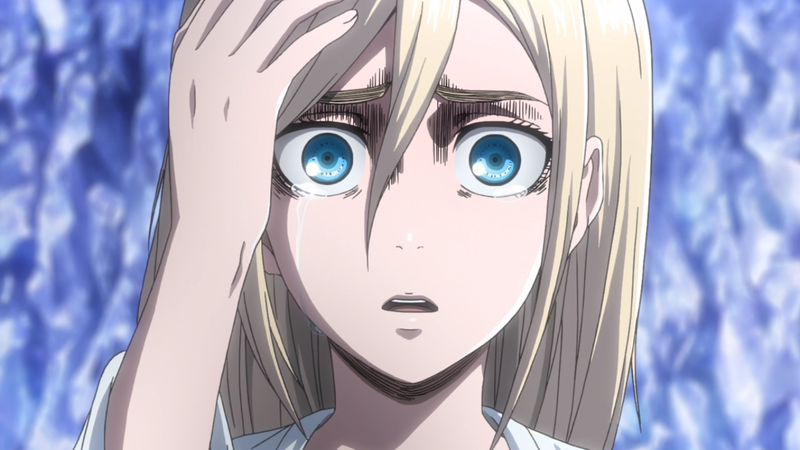 The protection of Eren and Historia is now paramount. 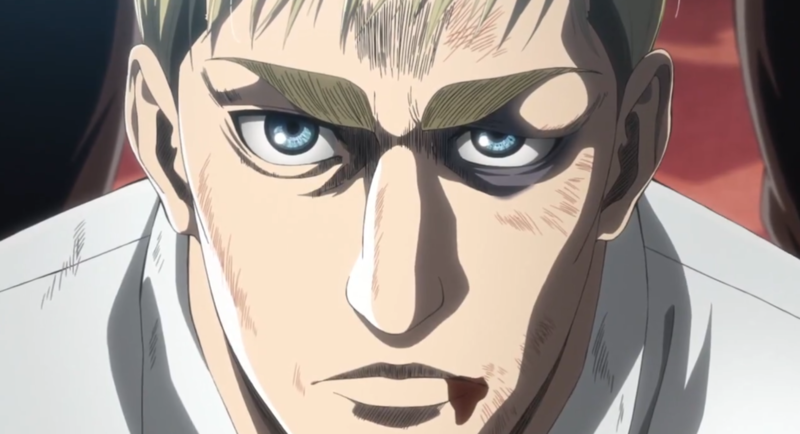 The first episode shifts focuses from Eren, to larger threats. 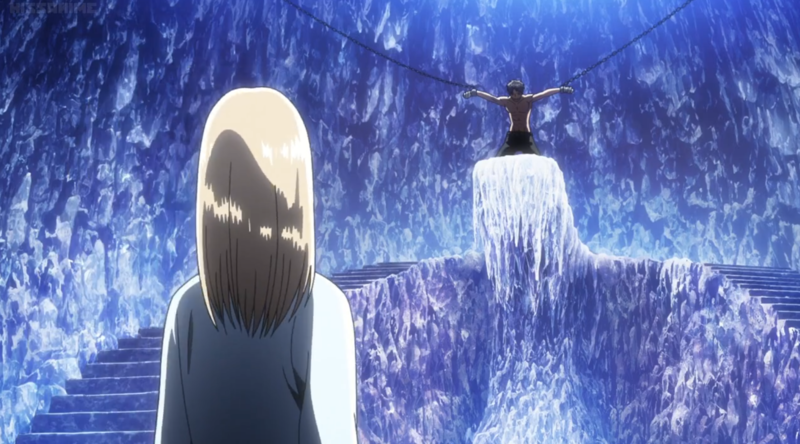 Eren and the others hide out in a cabin as they recover from injuries from the battle with the titans. 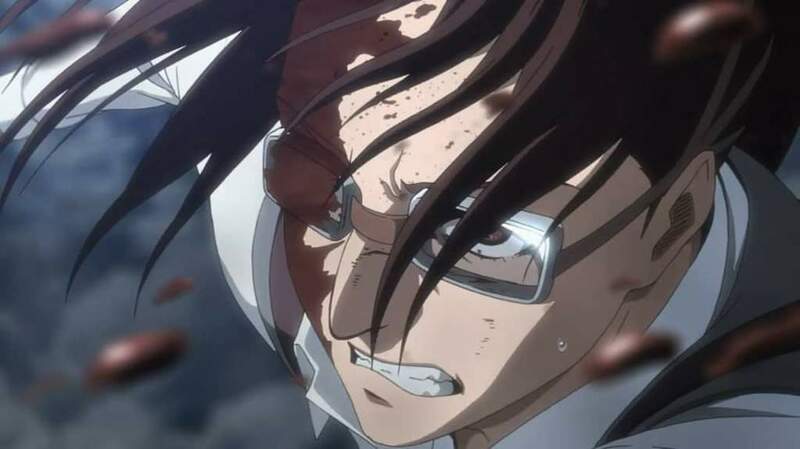 Eren has become an important part of a plan to “rebuilding the damaged walls,” with Hange (one of my favorite characters) in charge of the experiments. 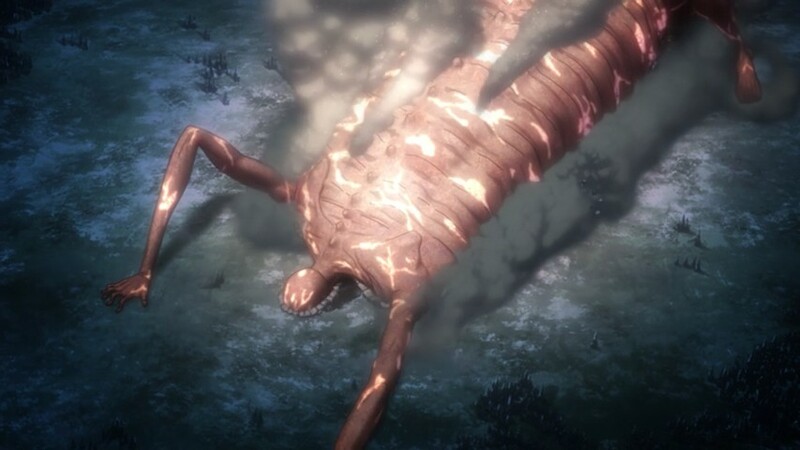 Eren’s titan form in weirdly short and emaciated. 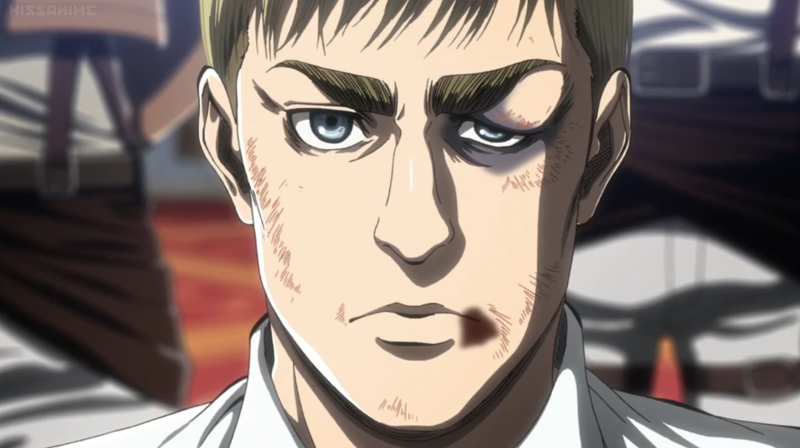 When pulling Eren out of his titan form part of his face is torn off, leaving part of his skull expose. 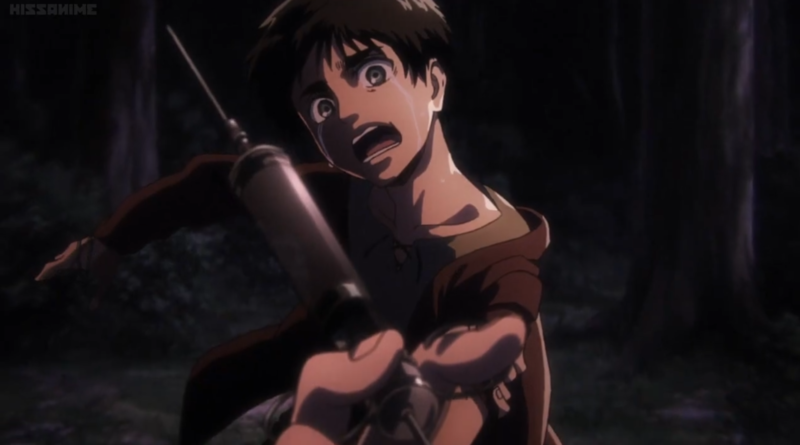 This is dark humor played for laughs that Hange often creates in this series, of course Eren isn’t in danger and will heal. In Trost, Pastor Nick is murdered. 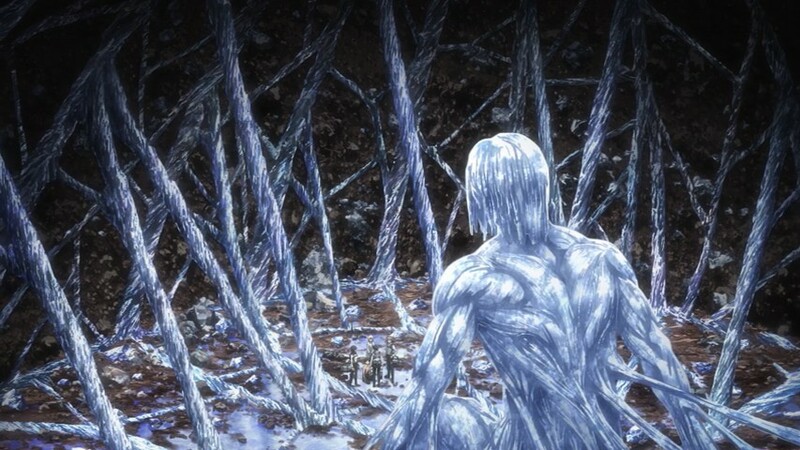 Having given the scouts information, he’s tortured, but doesn’t give up any information. 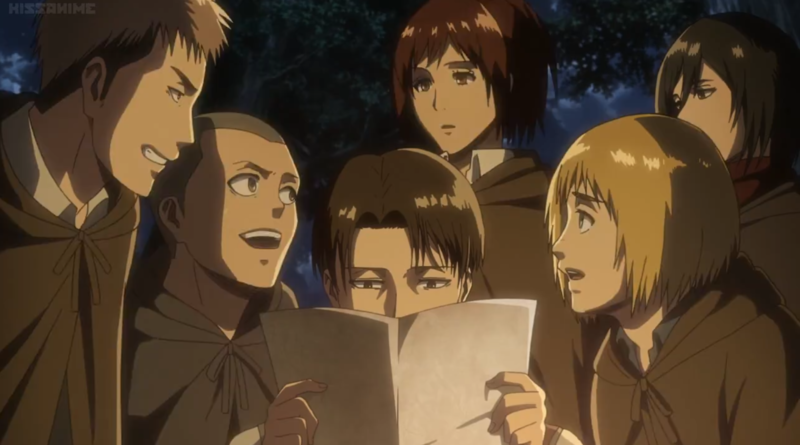 However, it’s clear that Levi’s squad is a target. 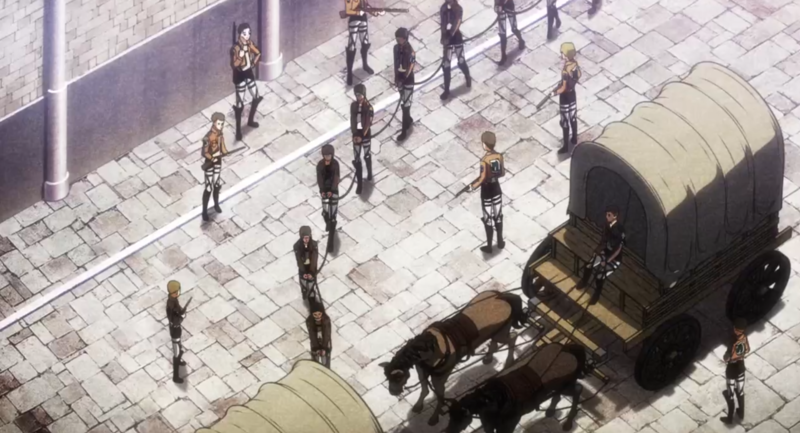 With the military police aiming for the scouts, it starts to become clear that the government is up to something. 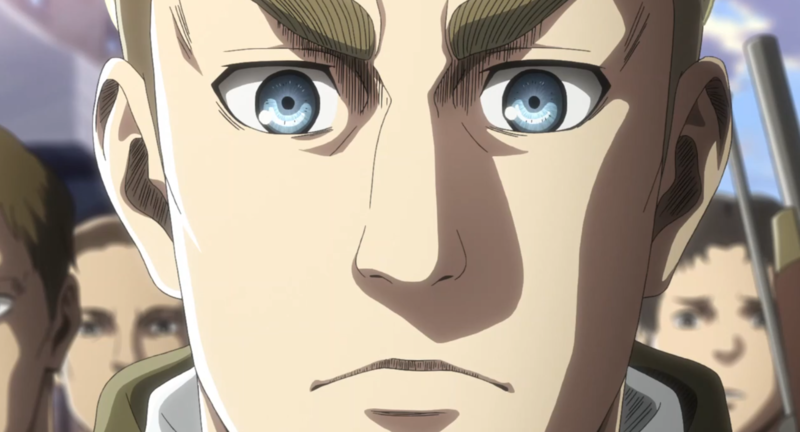 They have frozen the activity of scouts outside the walls, arrested Erwin and have demanded Eren and Historia be turned over. The government has always been portrayed as corrupted, but now they’re murdering innocent people. 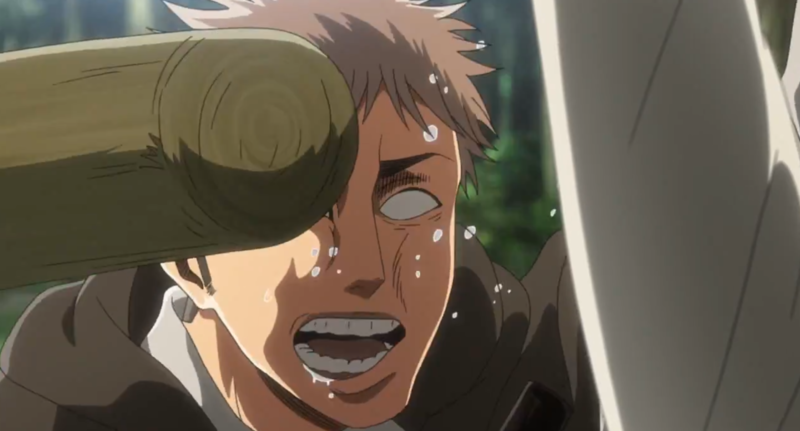 Hange heads off to save Erwin, while, Levi takes off with her remaining scouts. 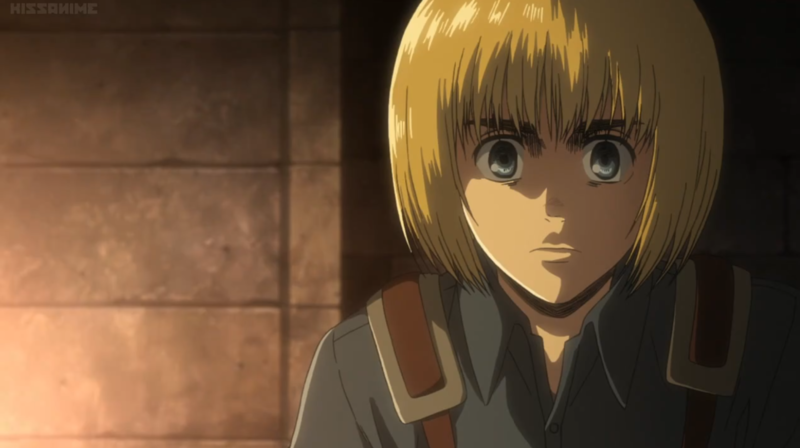 Levi and the others head into Trost with a plan. 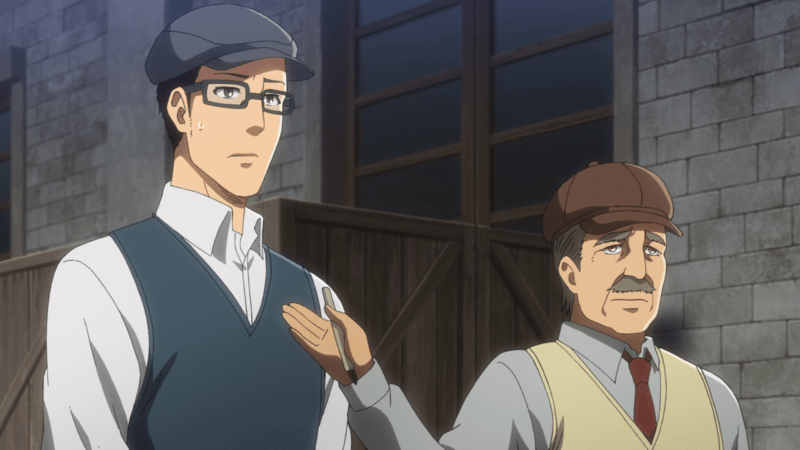 Eren and Historia are abducted, but it turns out that they are impostors. 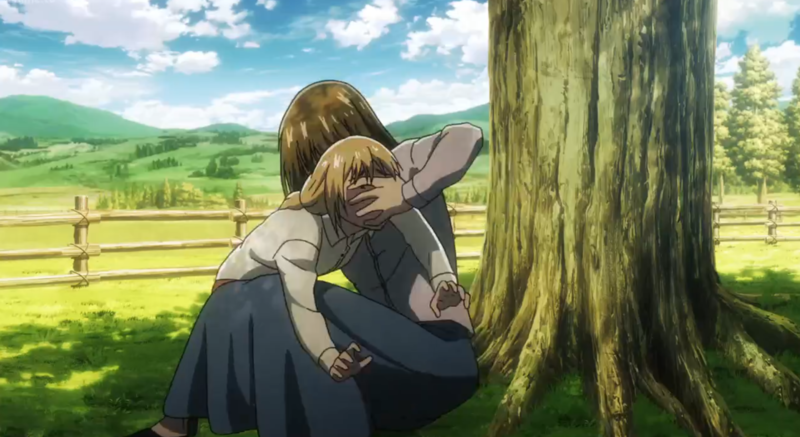 Armin and Jean have replaced Historia and Eren respectively. 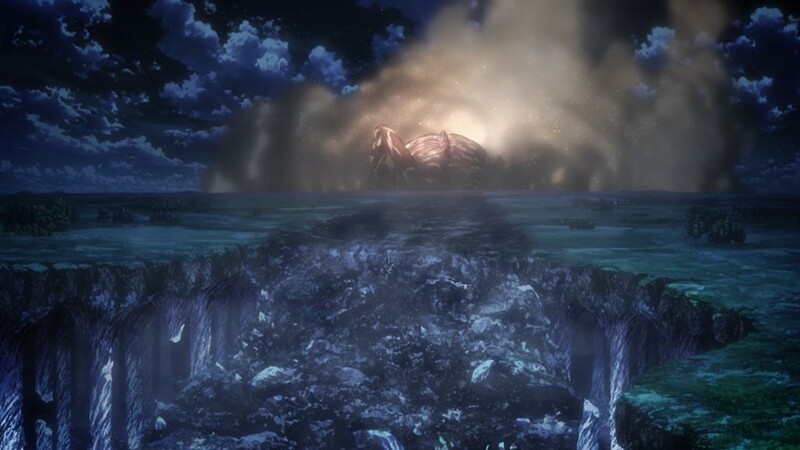 Mikasa and the others quickly rescue them, as Levi heads to meet with Eren. 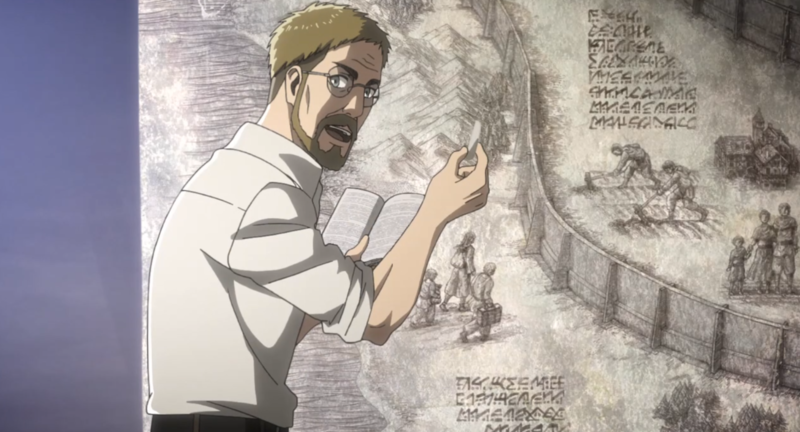 Before he does he give Mikasa a message to tell the other, it’s not made clear what he says though. 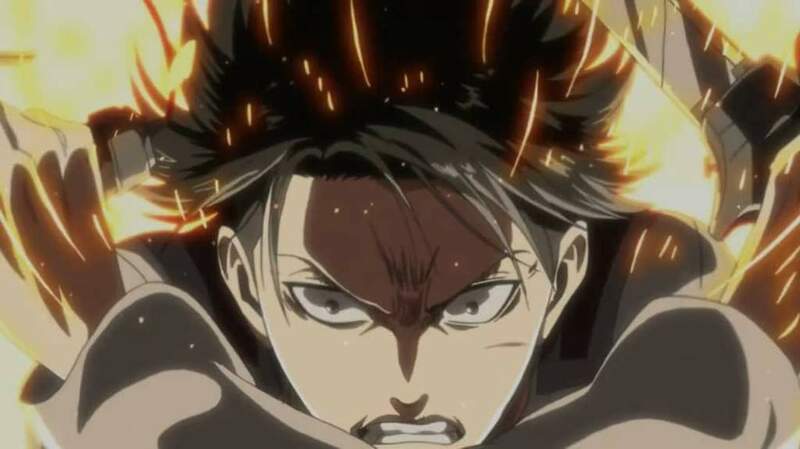 Finally, as the carriage carrying Eren and Historia is stalled, Levi is unsettled. 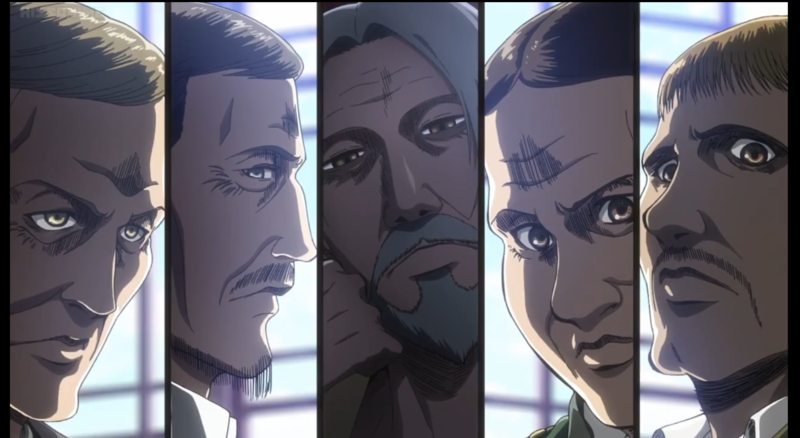 He asks Nifa if she’s heard of “Kenny the Ripper, a mass murderer who slit the throats of a hundred MPs in the capital.” Levi says that he lived with him as a child. 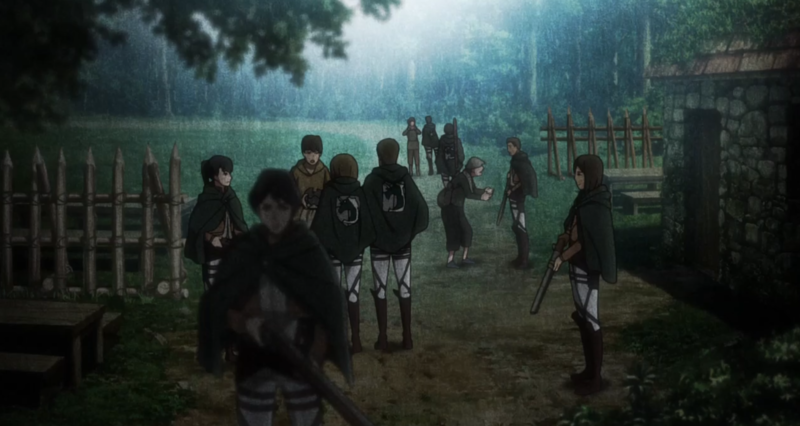 Kenny sneaks up on then killing Nifa, his many followers prepare to attack as does Levi. 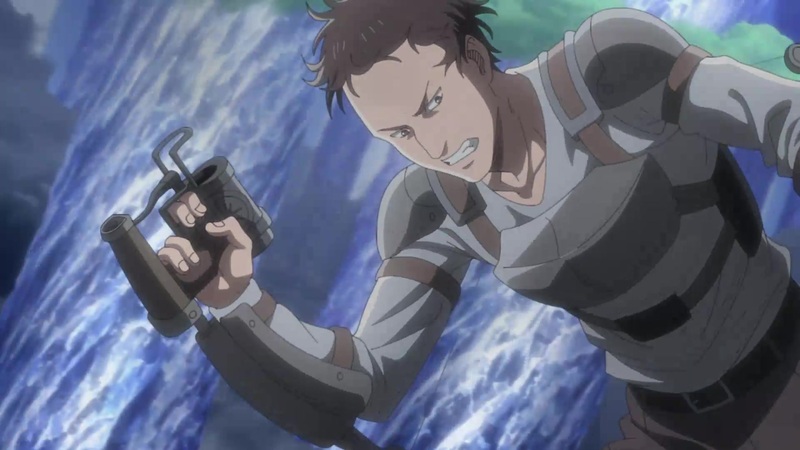 I like the shift from Eren and Titan focuses, to focusing on a corrupted government and large conspiracy. 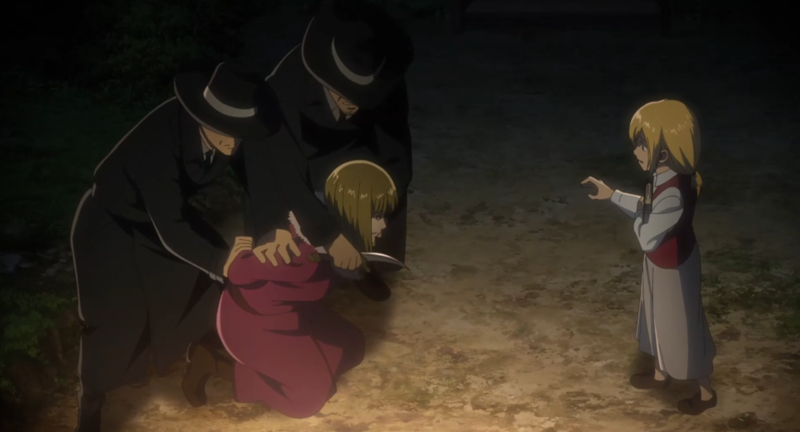 While this episode starts off slowly and end before the action, I thought the shift was needed to set up the new threats. 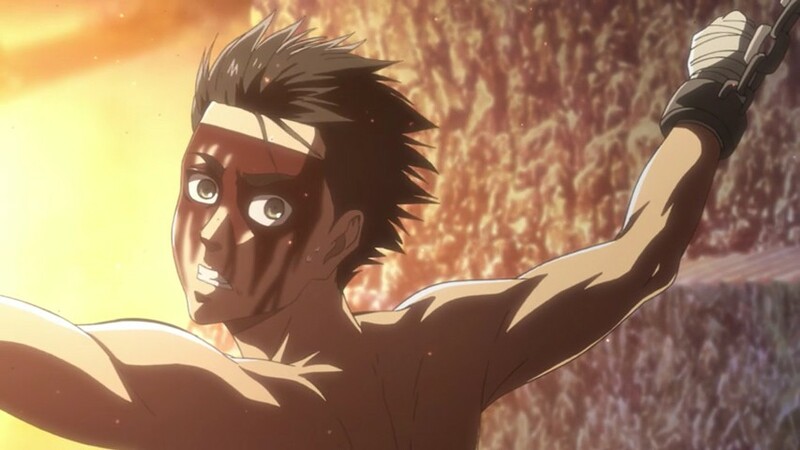 This episode provided a great start and with 23 episodes remaining I can’t wait.